I'm doing a bit of housekeeping here at lelonopo, so over the coming month you may see odd posts or items reflecting changes, organizing, and clean up. I've been keeping this blog for five years (!) and there's some freshening up needed...I hope to add a recipe digest, and some other items. First up is a new look and header: what do you think? Take the poll in the column to the right and tell me if you love it or hate it. I'll be over here with my broom continuing the clean up. i like the header during the blog clean up, update. i think it is ok as a punctuation for the next break out. however (since you asked) i did not like the wood plank background header. i loved the one that was on their before, with the bright flowers and still shots. 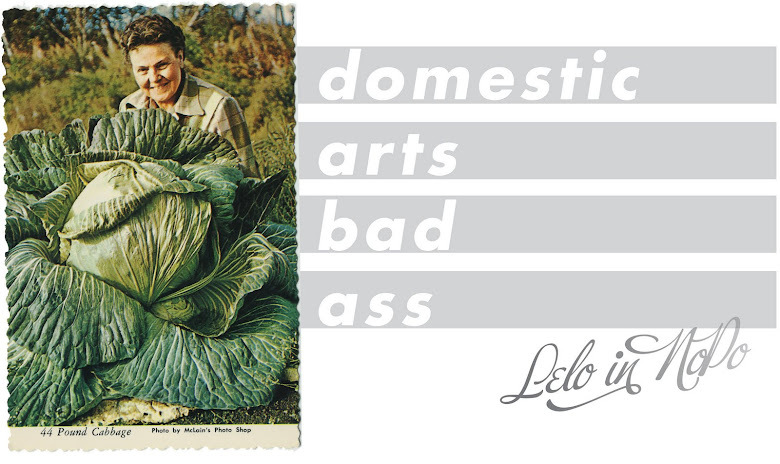 this header is fine for a .... pardon our dust period. Yes, I think it's temporary while I clean up. I was thinking the plain look would better highlight the content of all of my posts and all of the photos I put up, versus compete with them. Sugar is a great thing, but too much sugar is too much sugar. At least that's what the theory was. I miss your lovely photos. Since I can't just run down the block and see your garden for myself anymore (sob! sniff), it's my only little piece of NoPo. i love the letterpress feeling i get with your header. just saying. Oh sheesh....I voted that your header is "just okay"...only because it didn't "grab me" - and I KNOW you are capable of the "grab me" effect! Other than that, I loved catching up on your posts - love finding Wink! THANK YOU for the recipe index! That will be so helpful. I, too, love all the photos and color on your site in the past. When did you take up rubber stamping? I agree with Marie about the wood plank.